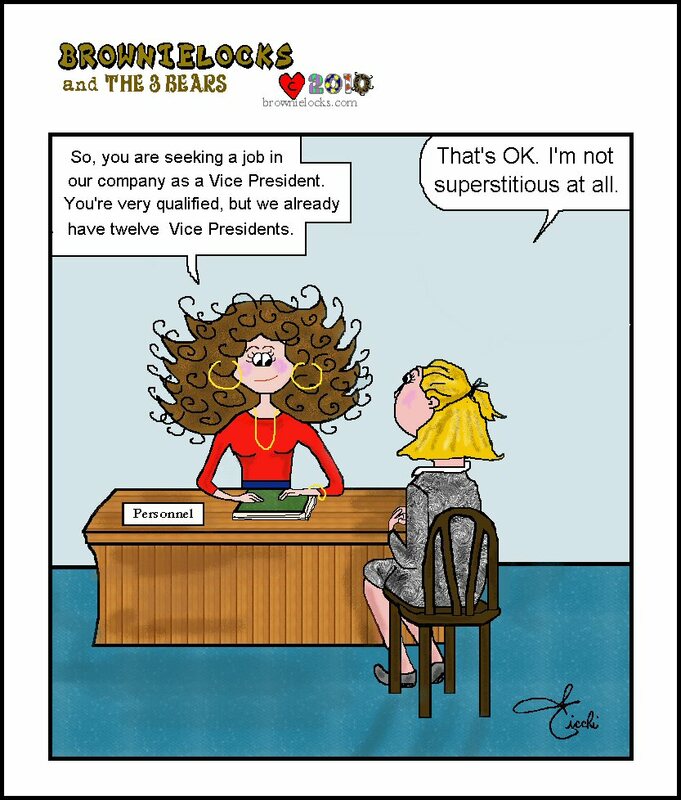 Here's another cartoon with Friday the 13th theme from our Weekly Cartoon area. Although Friday the 13th isn't a genuine official holiday, it does cause commotion. Every year will have at least one Friday the 13th fall in one of the months, with a maximum of 3 times (months) that it will occur in a year. Which months it will fall on is part of it's mystical uncertainty and surprise. And, Friday the 13th doesn't really have any official symbol or color to go with it. 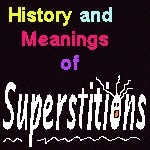 It is surprising how subtly superstitions and folklore creep into our lives even in this new millennium and all our technology. We, civilized folk, like to think we are beyond such silly things. But are we really? Another version states that the fear goes back to the 14th century and The Canterbury Tales, where starting a journey or any kind of deed on Friday the 13th is bad luck. Going along with this....According to ancient maritime tradition, no voyage should ever begin on a Friday because sailors felt that if it did, that voyage would have back luck. Even Lloyds of London (famous insurance company) in the 1800's refused to insure any ship sailing on a Friday the 13th. Sailing tales tell of many captains who tried to defy this silly fear by sailing on Friday, only to find their ship not in good shape after a day or two (or never heard from again!). If some ocean liners were scheduled to leave on the 13th (regardless of the day of the week) captains would actually come up with excuses to delay leaving port until after midnight when it was technically the 14th. The US Navy today will not launch a ship on any Friday the 13th. And, many of us will not travel by any means on Friday the 13th. Some won't even leave their homes! Other superstitions are: That it is bad luck to be born on a Friday, marry on a Friday, accept (or begin) a new job on a Friday, clip your nails on a Friday or visit the sick on a Friday. If you change your sheets on a Friday, you will not sleep well. Some criminals pray that they don't get sentenced on a Friday as they feel the consequences will be even worse for them. Doesn't this make you wonder about today's phrase, "TGIF" (Thank God It's Friday) if Friday is suppose to be so terrible? And, what about dying on a Friday? As if some of us have a choice in that matter even? According to a poll in USA Today in 1992, 2 out of 5 people in the US believed that cars built on a Friday have more mechanical problems because workers are more careless on those days. French socialites (quatorziens = fourteeneers) would make themselves available as emergency guest fill-ins for dinner parties which held 13 names so they could be the 14th guest. Many theatre managers will refuse to open a new show on a Friday, esp. if it is the 13th. Some ball players feel it is bad luck to play a game on a Friday. Threats of computer viruses run amuck on Friday the 13th often needlessly scaring many users. Many businesses (or their CEOs) dislike beginning a new venture on a Friday, starting on a business trip or even signing a contract on any 13th of any month, esp. if it's a Friday the 13th. Otis Elevator Company says that 90% of skyscrapers (and many big hotels) have no 13th floor. Many hospitals, hotels, office complexes, etc. have no Room 13. Universal Studios in California has no studio lot 13. Many airlines, sports arenas and auditoriums eliminate a "seat 13" or even a row 13. The airport in Fresno, CA doesn't have a Gate 13. And, many folks will not have 13 as a house number so the Post Office gives them 12 1/2. And in France to replace the number 13, they use 12 two times as 1212. When discussing how bad 13 is, we have to think of 12 first. As I said above, some people feel that the source for the number 13 being bad luck goes back to biblical times because there were 13 at the table of the Last Supper, with Judas being the 13th of course. It actually goes even further back than that. One anthropological theory is that early man was comfy with the obvious and feared the unknown. They counted using all 10 fingers and then 2 feet which equalled 12. (I have no clue why they didn't count their toes too.) Anyway, after 12, well Duh? So they feared 13. In ancient Greek and Roman numerology, the number 13 for fortune telling meant a sign of destruction. (You'll have to go to a numerology site to see why.) In early Rome, witches gathered in groups (covens) of 12. So the 13th one was said to be the evil one. According to Norse Mythology, there were 12 gods gathered for dinner when suddenly the 13th guest, named Loki, (who was uninvited) popped in. He is said to be cruel, mischievous and for some, even evil. He also has red-hair. The Viking's hangman noose had 13 knots, and so they considered 13 to be unlucky. Why is Friday so fearful? We all hate Mondays, so why not hate it? Just how did Friday get this bad rap? In Nordic mythology, Frigga is the Goddess of Friday. She isn't mean or evil. Actually she is married to Odin, the father of all gods. She is also the mother of Balder, the god of goodness. But, because her main activity was to stay in her home and weave golden threads and make multi-colored clouds, I guess that's how you get the "staying in on Fridays" connection? Ancient manuscripts imply that Eve gave Adam that infamous apple on a Friday and some say it was a Friday the 13th. But, this is just a guess and not proven at all! Another biblical reference is the rumor that it was on Friday that Cain slew his brother Abel. And, the crucifixion, as we know, fell on a Friday. For the Druids, Friday was the night of the "Witch's Sabbath." So, if you mix the two items: evil 13 + ominous Friday together, you get a day that for some feel is a guaranteed dismal day. Some feel that evidence shows that the real mark of the beast or anti-Christ is 616. So, if you add up 6 + 1 + 6 = 13 then some feel that 13 is really the number for the anti-Christ or beast, thus making 13 a bad number in that aspect. We all have fears. It's when those fears determine our actions (or non-actions) that determines the seriousness of a phobia. I don't want to dwell much on this because the fear of Friday the 13th and it's symptoms is pretty much the same as any other extreme fear. For those who want advice and help, I suggest checking out other phobia websites or local support groups. But the basic low-key symptoms are nervousness, giggles and constant comments about the day, what's going on, mentioning 13's etc. More serious symptoms are having a real intensive panic attack (hyperventilation, dizziness, sweats, rapid heartbeat) to an actual heart attack for some! Some people won't even get out of bed for a day they are so afraid of Friday the 13th. Others limit their phobia to 1 activity they refuse to do, such as write a check, go to a doctor, eat in a restaurant or drive a car (they walk!). According to the Irish, "It is good to die on Friday, be buried on Saturday and get prayed for on Sunday." Whether something is lucky or unlucky is all how you want to view it. On Friday, September 13, 1939, Igor Secorsky invented the helicopter. On Friday, July 13, 1900, Teddy Roosevelt laid the cornerstone for the new county courthouse in New York. On Friday, September 13, 1814 Francis Scott Key wrote "The Star Spangled Banner". This is a good thing for our country, but not necessarily for all our ears (depending on who sings the song). On Friday, September 13, 1857, Milton Hershey was born. And, thus gave us Hershey chocolate! And, many couples choose on purpose to marry on a Friday the 13th just to defy the divorce ratio in the United States! In Japan the number 3 is considered unlucky. And in Madagascar the number 6 is unlucky. Yet, in China, they think 3 and 9 are lucky. On the other hand, the Turks don't like 13 so they literally removed it from their vocabulary. The 13th Amendment freed the slaves. Ike Eisenhower has 13 letters in it. President Eisenhower was an honorary member of Missouri's "Lucky 13 Club" (made up the states 13 presidential electorates). I'm not sure how many of the states have 13 electoral votes. But Rhode Island our 13th state. A baker's dozen has 13 items, not 12. And, ah..well a certain adult film star named John Holmes is said to have a certain male organ 13 inches long! Dutch Centre for Insurance Statistics claims that fewer traffic accidents, fires, thefts, etc. happen when there is a Friday the 13th because people seem to be more cautious on that day. Being 13th isn't always so bad. Who was the 13th person you dated? Or was your first kiss on a date experienced on a Friday? For most of us, 13's and Fridays don't matter at all. For those who are in need of some protection there are silly rituals and cures galore to protect them on Friday the 13th. 1. Walk around your house 13 times on Friday the 13th. 3. Sleep with a mirror under your pillow for the first 3 Fridays before Friday the 13th comes. You are suppose to dream of your true love on Friday the 13th then also. 4. Walk around the block with your mouth full of water. If you do not swallow it, you will be 100% safe on Friday the 13th. 5. Wear and/or eat garlic! Need to be prepared for Friday the 13th? Well, here's when they're coming for the next 30+ years. 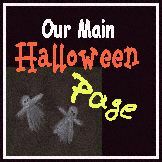 Or...continue visiting our Main Halloween Pages. have crept into our culture, visit this page. with Halloween Jokes, Trivia, History, etc. Midi is "Terror + Phobia" by? I found several Midi's years ago and just saved them in my system for future use. Now the sites where I got them are gone and so I have no way to know more about a song.